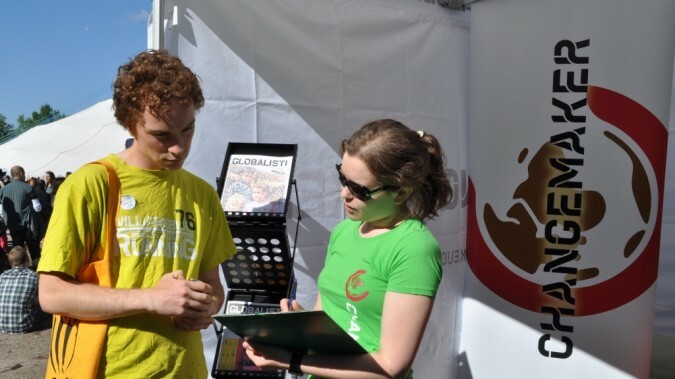 Would you like to promote global justice and join Changemaker Finland? You can join Changemaker Finland by filling out the form below. Membership is free and offers a wealth of different opportunities. As a member, you will also join Changemaker’s national information list. To become a member of Changemaker Finland one must be between the ages of 13 and 35 and either a Finnish citizen or living in Finland. Globalisti magazine is published in Finnish. It can only be sent to addresses in Finland. Changemaker Finland is a part of Finn Church Aid. Read more here (link opens in new window) about how we ensure data protection and how we process personal information.